I am Abhay Nirgude currently working as an associate professor in the department of Community Medicine in Kamineni Institute of Medical Sciences, Sreepuram, Narketpally (KIMS, Narketpally). My special interests are in making teaching community oriented; motivate students to undertake research and developing need based health education material for prevention of prevailing health problems and promotion of health. I am mainly involved in teaching medical students, Interns, post graduates and other allied health sciences students. I was born in Omerga, Osmanabad District, Maharashtra. I have completed my schooling there. I did my MBBS in Grant Medical College, Mumbai (1999) and MD Preventive and Social Medicine in Seth G S Medical College, Mumbai (2005). I got married to Dr Poonam Naik immediately after my MD in 2005. Subsequently I was selected as Surveillance Medical Officer under WHO-NPSP project and was posted in Mainpuri district of Uttar Pradesh. Then I am working in KIMS, Narketpally. I have two children, elder son vedang studying in first standard and younger daughter vaishnavi, 2 years. I love to visit spiritual places and spend maximum time with my family. I believe what I am today is the cumulative effect of blessings of God, my parents, teachers and hard work. I am delighted to learn from the team members and faimer resource persons and share my little experience with all. I hope that with every interaction with each one of you at Mumbai will enrich my knowledge, nurture my journey as teacher. I am Dr. Amol Hartalkar, currently working as an Assistant Professor in the Department of Medicine at Rural Medical College & Hospital, of Pravara Institute of Medical Sciences, (Deemed University) Loni, Dist. Ahmednagar, Maharashtra, India. I was born in Mumbai; completed my schooling in Nagpur; Now settled in Pune. I did M.B.B.S. (1998) and M.D. Medicine (2004) from MGIMS, Sewagram. After M.B.B.S., I worked under Rural Service program for 2 years. I started my teaching career in February 2009 by joining as faculty at M.I.M.S.R. Medical College, Latur & joined the present institute in December 2010. I am mainly involved in teaching medical and other allied health sciences UG & PG students and try to do it with innovative methods; looking for new ways to make my teaching program more interesting. I have special interest in use of multimedia for teaching students and training of health workers / GPs and general public. My areas of interest include Cardio-vascular diseases, TB / HIV and Medical Education. I have recently established a speciality Diabetes clinic at present institute and working as a Coordinator. I am a team member for web site maintenance of The Young Professionals’ Chronic Disease Network (http://ypchronic.org/web-team). Along with being a member of various professional medical associations, I have been regularly attending relevant conferences and workshops to update my knowledge. I have undergone training in Medical Education Teaching Technology workshops, during which I realized how much more we have to learn in the art of teaching. 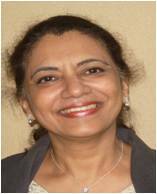 I am trained in Health Research Methodology courses and was Site Principal Investigator in various national multi-centre clinical studies. I am regularly writing articles on health education in local dailies, participating in radio talks and organizing community health camps. Beside this passion, my extracurricular interests include collecting special stamps & coins, listening to music and playing games like cricket and badminton. I also enjoy good food, Reading, exploring world of internet and travelling. 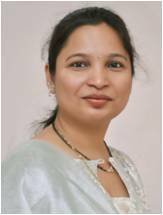 I would like to appreciate timely support received from my life partner Dr. (Mrs.) Sheetal Hartalkar, studying M.D.S. (Periodontal Surgery & Dental Implantology) in the same institute and helping me to reach my goals. How to impart basic medical education to the undergraduate & postgraduate students in their training and how to evaluate their knowledge & skills to serve as medical professionals, is what I hope to learn during this Fellowship. 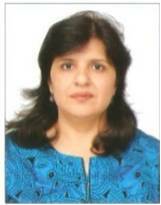 I am Arpita Nishal, currently working as an Associate Professor in Pathology at Govt. Medical College. Surat. I was born in Uttar Pradesh. I have done my schooling in Surat. I did my M.B.B.S and M.D (Pathology) from Govt. Medical College, Surat. My husband is a Physician who is in private practice in Surat. I am blessed with two lovely daughters. I am working as a faculty in this college since 17 years and I love my work. I am involved in teaching undergraduates and postgraduates in Pathology and other paramedics. In Pathology, my special area of interest is Histopathology. I have worked as a Quality Manager at our Blood Bank and during my tenure there, our blood bank was accredited with the prestigious NABH (National Accreditation Board of Hospitals) Certificate. I love to teach and look for ways to make my teaching more interesting, interactive and enjoyable. I am an active member of Medical Education Unit of our College, through which I got interested in FAIMER Fellowship and applied for it. I believe in what Paulo Coelho says in his bestselling ‘The Alchemist” that “when you really want something, the whole universe conspires so that your wish comes true”. Besides, I love to read books and listen to music. I love to spend time with my family. I am looking forward to this course to hone my present skills and acquire new ones too. I am sure and pretty hopeful that our interactions at FAIMER will contribute to our personal and professional growth and development. I am, Dr Atul M Deshkar, basically Maharashtrian! Educated from Nagpur, currently working with Jazan University, Saudi Arabia; sabatically associated as Associate Professor and Head, Department of Physiology Govt. CIMS, Bilaspur, Chhattisgarh, India. Apart from working as physiologist, I am working with SAC, Medical Education and DIC, Quality management at Faculty of Medicine Jazan KSA. I am editorial board member of journals in Physiology and Energy Medicine. During my tenure as Examination Superintendent for Universities in Chhattisgarh and IMA College of General Practioners I witnessed intricacies of curriculum and assessment in medical education. My keenness to make the medical education system more transparent and flawless led me towards research projects in this arena. Yoga specially Yoganidra and Music therapy are my hobbies. Writing article and poems gives me satisfaction. I also enjoy sharing, chatting on social networking sites. In my family, Ankoor, a seven-year cool boy, loves Shahrukh Khan while younger one Aksshat, we call him Gattu, is naughty and fan of Salman Khan. Playing with them is leisure for me. Akshataa, my life-partner, who is singer too, is my best friend. Exchanging the ideas amongst fellows in GSMC-FAIMER family will add another dimension to my career. I believe in the notion that says “think globally and act locally”. Eager to meet all of you in next few weeks. I am Dr. K.N. 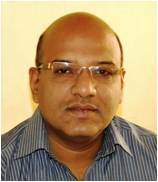 Dandekar, Associate Professor, Surgery, from Rural Medical College, Loni Dist- Ahmednagar a graduate and postgraduate student of B.J.Medical College Pune. 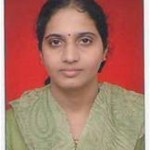 I am teaching in Rural Medical College since 2004 as UG and PG teacher in General Surgery. I was introduced to medical education technology when I first attended basic course in MET. Since then I developed liking and tried to inculcate whatever I could understand. I continued attending various events related to medical education technology. I have an interest towards Teaching-Learning and evaluation methods. In our college my department is positively experimenting in PBL and OMP for last two years. I am also a faculty member of MET unit of my college. On personal front, my wife completed her P.G.in Anatomy last week. Thus teaching is our family profession. Personally I am cricket fan (winning or losing doesn’t matter), love to read fiction and like everybody I also like music of all kinds. I am indeed very happy to get this opportunity to join the GSMC-FAIMER fellowship 2012 and I am looking forward to meet you all august people. I can’t resist myself borrowing Dr. Minnie’s statement- “an opportunity to meet others with a similar goal to learn debate, agree and disagree”. I am Nirmal, born & brought up in Mumbai, studied in Balmohan Vidyamandir, R. Ruia College, T. N. Medical College, Cancer Research Institute & All India Institute of Diabetes at various levels. I am married & have two grown up kids. I have worked, participated in research & taught in University of Mumbai for more than 20 years. Currently, I reside in Muscat, and work as Professor of Microbiology & Chairperson, Department of Preclinical Natural Sciences, at the Oman Medical College [affiliated with West Virginia University, USA] since 2008. I supervise & coordinate Yr. 2/Yr. 3 Medicine courses [i.e. Basic Science courses, Cell Biology, Molecular biology, Bio-organic chemistry, Biophysics, Biostatistics, Introductory Embryology, General Anatomy, Physiology, Biochemistry, Microbiology and Immunology]. I am also involved in developing integrated teaching, improving teaching methodology as well as employing innovative teaching techniques. Personally, I have conducted workshops at Oman Medical College on the use of innovative teaching methodologies. I have also attended a certificate course in Health Professional Education at SQU Muscat; and presented my work at the Asia Pacific Medical Education Conference at Singapore. I have been honored to be invited to attend the prestigious World Innovation Summit for Education – WISE meeting by Qatar Foundation for Education, for the last three consecutive years. The World Innovation Summit for Education brings together policy-makers, educators and education management leaders to identify ways in which education can make a difference in various institutions worldwide for a better learning experience. I have always been interested in continuing with my hobbies and have exhibited Charcoal Sketches, Rangoli designs, floral decorations, miniature garden arrangements as well as Oil paintings in various exhibitions in Mumbai & Muscat. Have won an All-India Competitive prize for Amateur Interior Designing & the Maharashtra State Government Award for Excellence in Craftsmanship in Ceramic Sculpturing. I am truly grateful for being selected & looking forward to meet you all. 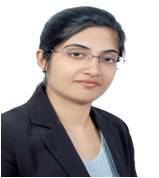 I am Dr Noorin Bhimani currently working as an Assistant Professor in the Dept. of Physiology in Lokmanya Tilak Muncipal Medical College, Sion, Mumbai. I am mainly involved in teaching medical students, post graduates and other allied health sciences students and try to do it with innovative methods. My motto “once a teacher always a student”. I believe in learning, unlearning and relearning. Assessment of students, in my opinion is a challenging area and I wish to work on assessment techniques. I was born in Sanjan, Umargaon District, Gujarat. I completed my schooling at Andheri. I did my MBBS (2003) and MD (Physiology) at B.J. Medical College, Pune and subsequently joined the faculty in the Dept. of Physiology at LTMMC, Pune. I have one son. I love to read, write, speculate and investigate. I like trekking, hiking, exploring and learning something new. I feel it is a great opportunity to learn and explore the field of medical education. I am extremely excited to undergo this training along with the enthusiastic and exciting academicians from all over India. Looking forward to meet some of the finest brain who mould the future of medical education and contribute to healthcare of India. I am Maria Pauline, Pauline to keep it short. I have lived most of my life in Bangalore. I completed MBBS and MD (physiology) in St John’s Medical College, Bangalore. I teach Physiology to medical, paramedical and nursing students in my Alma Mater as an assistant professor. My areas of interest include Problem based learning, OSPE and e-learning in medical education, research related to anthropometry, body image perception, blood pressure, physical activity and nutrition in children. Few things I enjoy (not a professional) are yoga, listening to music, glass painting, photography, mind body medicine, reading and spending time with pets and family (we live in a joint family). I am happy to have been selected for this learning experience. I am grateful to my institution for supporting me in this venture. 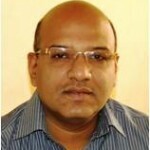 I think it will be a fruitful experience for the entire group in June 2012 at Mumbai. 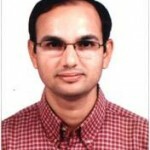 I am Mukeshkumar B. Vora currently working as an Assistant professor in the Dept. of Pharmacology at Govt. Medical College, Bhavnagar (Gujarat), India. I am also having responsibility of Assistant Warden and Assistant Coordinator of Medical education unit. My special interests are in students learning and assessment in medical education and developing resources for assessment. I am mainly involved in teaching medical students, post graduates and other allied health sciences students and try to do it with innovative methods. I was born in Ambaliyara Villege, Sabarkantha District, Gujarat. I completed my schooling in Ahmedabad. My mother is house wife and father is superintendent in Indian Post department. I did my MBBS in Shri M.P Shah Medical College, Jamnagar, Gujarat (2002) and MD (Pharmacology) in same medical College, (2007) and joined the faculty as an Assistant Professor in the Dept. of Pharmacology in Govt. Medical College, Bhavnagar (2008). I have one son who is in school, Bhavnagar. I love to read and write. I like solving mathematics problem. I enjoy watching movie, reading book. I believe that “I should put in MY BEST to the BEST of my ability and then leave everything else to the Almighty” for every task given. It is a great pleasure to be given an opportunity to meet others with a similar goal to learn debate, agree and disagree in the field of medical education. In fact I am really looking forward to meeting each one of you at Mumbai. Hoping that the months ahead will reap benefits for one another and for the institutions we represent! 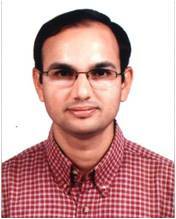 I Dr. Rajneesh Pandey currently working as an assistant professor in the Department of Anatomy in Seth G.S. medical college & KEM hospital, Mumbai. I was born in Sangrur a district of Punjab. I completed my schooling there. I did my MBBS in KGMC, Lucknow and MS (Anatomy) in Govt. Medical College, Patiala and subsequently joined as faculty in Anatomy at Dr. D. Y. Patil medical College, Navi mumbai. I have one daughter and my wife is working with public health institute at Navi mumbai. I always love to learn new things. My objectives as a medical teacher are to become an effective communicator, a good leader, a thorough evaluator and an efficient teacher manager. GSMC FAIMER will give me an opportunity to take a step further in research in medical education through the curricular innovation project. It is a great pleasure to be part of GSMC FAIMER and given an opportunity to meet others with a similar goal. 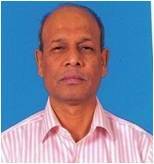 I am Dr Saee Deshmukh, currently working as an associate professor in the Dept. of Prosthodontics, VSPM’s Dental College & Hospital, Nagpur. My special interests in the field of education are in case based, computer assisted-learning and developing resources for the same. I am mainly involved in teaching dental students, post graduates and try to do it with innovative methods. I was born in Raigarh, Chhattisgarh. I did my initial schooling at Selu, a small town in Marathwada region of Maharashtra. Then I continued my education in Nagpur till post-graduation. My father retired as professor of English literature. My mother is a homemaker. I did my BDS from VSPM’s Dental College & Hospital, Nagpur (2002) and MDS (Prosthodontics) from Govt.Dental College, Nagpur (2006) I worked as a lecturer Dept. of Prosthodontics at Govt dental college, Nagpur for two years & then joined VSPM’s Dental College & Hospital, Nagpur where I am currently working. My husband is Consultant Anaesthetist and Intensivist. We are based in Nagpur. I love to travel & to read. I enjoy cooking. I believe that we being in the field of medical education, have an excellent opportunity & a responsibility to make best of knowledge & skills in creating better healthcare professionals who will serve the society tomorrow. I am really happy to be selected for this fellowship. Looking forward to an enjoyable learning experience in Mumbai! 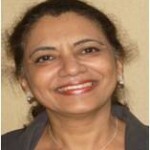 I am Dr. Sharmila V. Jalgaonkar. 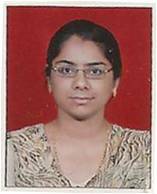 I work as an Assistant Professor in the Department of Pharmacology & Therapeutics at Seth G. S. Medical College & K. E. M. Hospital, Mumbai. 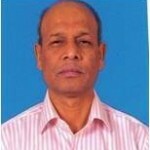 I am mainly involved in undergraduate (UG) & postgraduate (PG) teaching as well as research activities. I am a member of the UG teaching team in our department which makes various UG teaching programmes, carries out the administrative work & brings out various innovations. It has always been a pleasure to interact with & teach the UG students. I think of different styles & methods to teach them & make my teaching sessions interesting for them. Currently I & my team members are actively involved in developing e – learning resources (video based) for the students in 2nd MBBS. I am married to Dr. Vinayak Jalgaonkar who after acquiring a Master Degree in Preventive & Social Medicine is working as a SMO for the WHO Polio Project & am a proud mother of 2 school going kids, Rhea & Rishabh. I like to cook food especially non – veg. I also like reading books apart from the subject of my speciality with a special interest in fiction. I like listening to music. I am very happy to be a part of the FAIMER Fellowship 2012. I am looking forward to meeting the rest of you’ll. 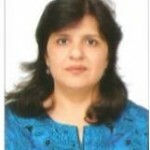 I am Shehnaz, currently working as an Assistant Professor in the Department of Pharmacology in Gulf Medical University, Ajman, United Arab Emirates. This post is equivalent to the post of Associate Professor according to MCI regulations. My special interests are: assessment of educational environment and computer aided learning for pharmacology. I am involved in teaching medical, dental (DMD), Pharm. D and physiotherapy students. As we have an integrated curriculum for MBBS, I am also involved as a facilitator for Case Based learning and Problem based learning sessions. Regarding my personal life, I was born in Chennai, Tamil Nadu. However, I completed my schooling from various schools all over India as my father is a Colonel (retired) in the Army. My mother was a housewife. I did my MBBS from Kilpauk Medical College, Chennai (1996) and MD (Pharmacology) from Madras Medical College (2002).Subsequently I worked as an Assistant Professor for 3 years in Sree Balaji Medical College and Hospital, Chennai, India and later joined the present institution. My husband is an engineer, working in the UAE. I have two school- going teenagers, a daughter and a son. My hobbies are reading fiction and painting. I also enjoy cooking. It is indeed a great honor to be selected for the Fellowship Program from the 377 respected academicians from Asia and Africa. I am really excited to meet all of you at Mumbai and hope to form lifelong associations which will continue to encourage me with innovative ideas and methods in teaching. I am Supriya John, born and brought up in Mumbai. I pursued my Graduation in Physiotherapy from Seth G S Medical College and K E M Hospital in year 1998. I worked for more than a year as a Senior Physiotherapist at Bombay Hospital before joining my Post Graduation at Topiwala Nair Medical College and Dr B. Y. L Nair Hospital. I did Masters in Physical Therapy (Specialty- Musculoskeletal conditions, Subspecialty- Women’s Health and Geriatrics)in 2002. 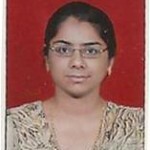 Presently I am working with K J Somaiya College of Physiotherapy as a Lecturer. My responsibilities includes imparting the knowledge to Under-graduate as well as to Post-Graduate students. I am Post Graduate Guide for Musculoskeletal subject. My hobbies are reading Autobiographies and Biographies, Spiritual readings. I have learnt Glass Painting, pottery painting, studied Photography and passed examination for same. At present I am learning to play Guitar. I always wanted to be a part of Faimer Family. The motivation and inspiration has come from observing dedicated teachers like Dr Payal mam, Dr Tejinder sir and Dr Avinash Sir, from whom I learnt basic and advanced Teachers Training Programme. I want to be like them. Being Ex-GS student I am glad that I am coming back to my home institute .I do my best to learn new innovations and contribute for upliftment of Physiotherapy Profession. I am Dr Rajeev K. Saxena working as Professor & Head, Department of General Pathology & Microbiology Sinhgad Dental Colleg, Vadgaon Budrukh, Pune – 41. My special interest are Standardized Teaching – learning process with relaxation, meditation to be inculcated in curriculum for wellbeing of students. I am Keenly involved in teaching dental students and in practical innovations related to Community Health issues e.g. Railway toilet project link. zeenews.india.com/…/professor-claims-of-developing-better-bio-toile… I have completed my MSC, MBBS (B.R.D. Medical College Gkp .) in 1989 , then I worked in the railway hospital and afterwards 1997 I completed MD Microbiology from BJ Medical College Pune. 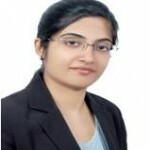 I have worked in different capacities in DY Patil Medical College Pune, MIMER medical college , Talegaon Pune , MARDC Pune and presently in Sinhgad Dental College. 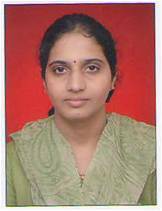 My wife Nimi is working in Central Excise & Customs, Pune. She is from Kerala. 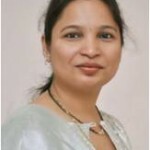 I am a good singer, I love to solve problems of society, I am a faculty for stress management in Government and non-government organization , my website www.joyfullliving.co.in dedicated for whole humanity. I am very grateful to be given an opportunity to meet a group of like minded teachers with a similar goal to learn. I was dreaming to join FAIMER Mumbai and it has finally happened and I am very excited to meet my new friends.